If It Heats Or Cools, We Sell It Or Fix It. Call Us! Stay Cool. We're Here To Help. Arctic Food Equipment, is the largest food equipment sales and service company in Southwest Missouri. Our company provides commercial and industrial equipment and repair services for restaurants, convenience stores, churches, hospitals, schools, and more. If It Heats or Cools. We Sell or Repair It. 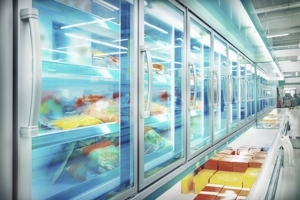 Arctic Food Equipment also offers commercial sales and service for HVAC, cooking equipment and refrigeration equipment. If you're having problems with your equipment or are in the market for something new for your business, please give us a try. You will be glad you did. Call us today at (417) 986-1511 for all your sales and service needs. 24 Hour Emergency Repair. Call Now! Copyright © 2018 restaurantrefrigerationmo.com All rights reserved.